In order to bring our clients the very best and most unique products, International Tile & Bath has to stay up-to-date with the latest trends and styles in the industry. 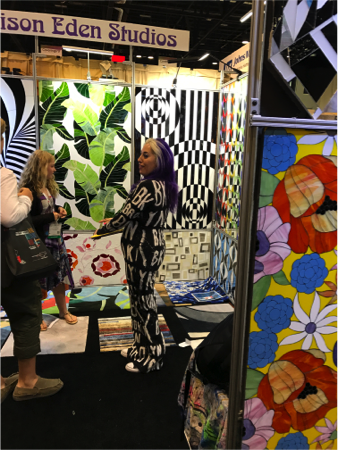 We do this by building relationships with Vendors and attending International Trade shows, like the annual Coverings show—the world’s largest tile and stone show in North America. 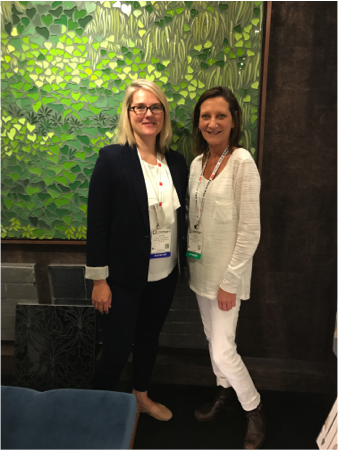 This year, we sent our Merchandise Sales Manager Lorin to Orlando to meet with more than 1,100 exhibitors from more than 40 countries to bring us back news on the most interesting and different designs. While almost every Vendor had something amazing to show, these five brands really caught her eye. 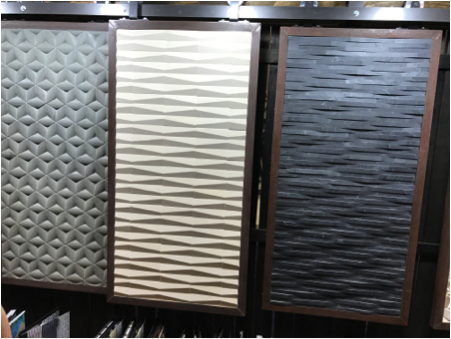 If you stop by our showroom, you can see several extraordinary samples from Lunada Bay Tile already. 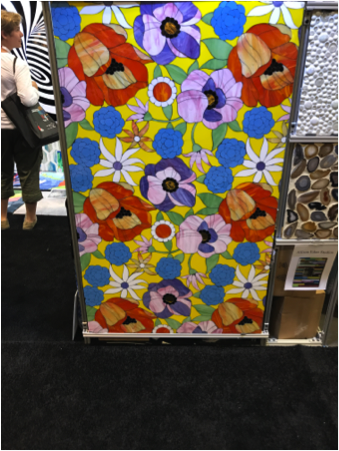 Their tile is inspired by the Southern California Coast, and their display at Coverings impressed us. 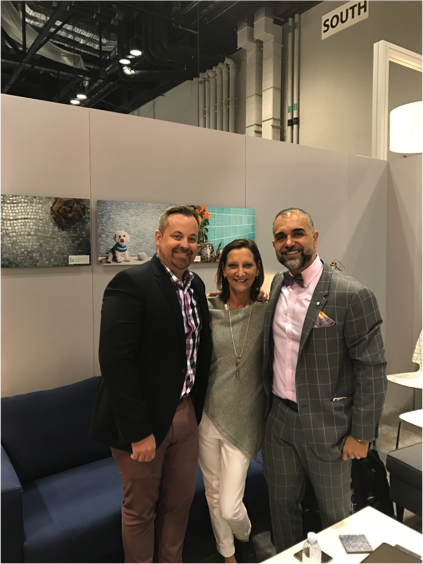 Lorin met with the brand’s Creative Director, Feras Irikat, and International Sales Manager, Chris Brown, to talk about their newest offerings. The new tiles are loose pieces as well as paper mount. The new shapes are very unusual and the colors are breathtaking. 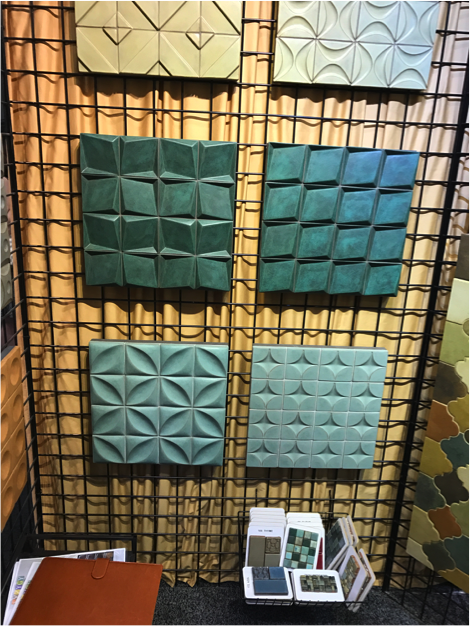 The blend of cool, soothing colors make these pieces great for bathrooms, whilst the stronger color palettes are suitable for exterior BBQ areas and swimming pools. We’re proud to be one of the few dealers in California who get to represent Syzygy. The company is known and celebrated for their spectacular glazes. 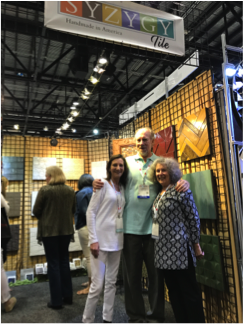 Artist and Owner, Lee Gruber, and Owner David del Junco showed Lorin their newest collection of handcrafted tile at this year’s show. It was a great reminder of how detailed the process can be: Gruber starts with clay and a mold and then mixes her special recipe to create the phenomenal, three-dimensional look the glaze creates. 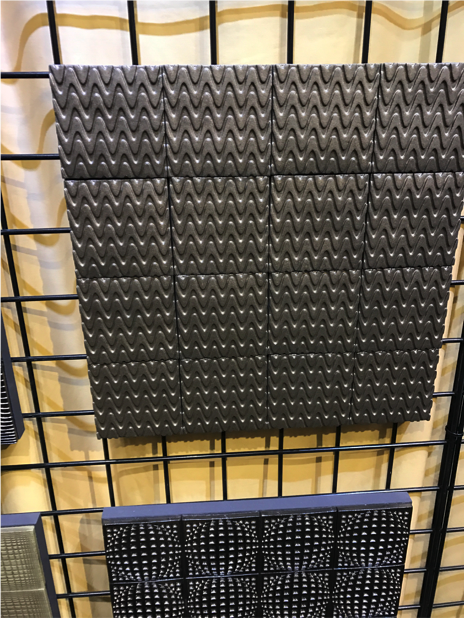 With these tiles and all the others, you’re adding a unique, original story to your space that goes beyond tile made by a machine. 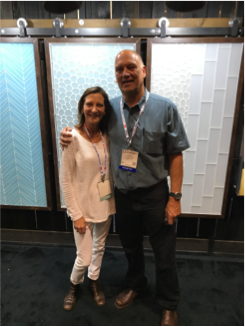 At this year’s Coverings show, Chuck Hepner—Owner at Island Stone—showed Lorin the company’s new tiles. Island Stone is known for pebble tile that mimics the feel of walking along the beach—a place that inspired Hepner during his days surfing in South Africa, Malaysia, and Bali. 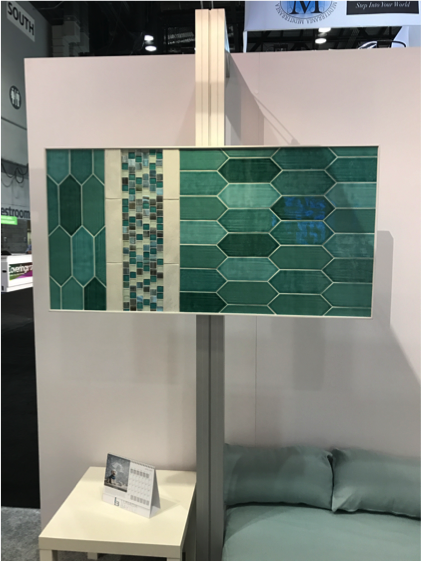 The new tiles resemble pebbles which are made of smoothed, recycled glass for a completely different look than what they’ve shown in the past. Part of the New Ravenna collection was inspired by the Gardens of Versailles—and just like the French palace, these tiles are exquisite. The brand’s sales representatives, Sarah and Juan, gave Lorin a look at the crafted blend of glass, stone, and metal. 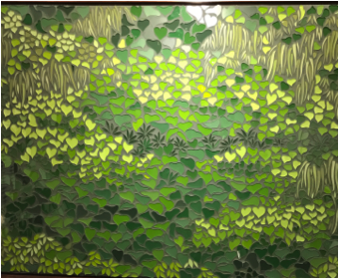 The stunning, custom-made board was inspired by a living wall and created just for Coverings 2017. Like New Ravenna’s other offerings, it completely took our breath away. True to form, Allison Eden stunned us with what she brought to the show. 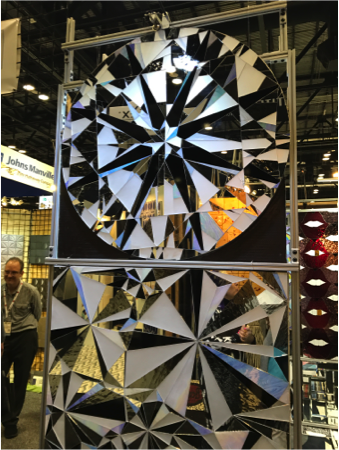 The Lady Gaga of the Tile World, Eden’s custom creations are always one of a kind. We were dazzled by her diamond design and loved her floral creation, which looked a lot like a stained-glass piece. Because her work is custom, Eden can redesign these looks to fit your desired color palette and space or she can design something completely unique. 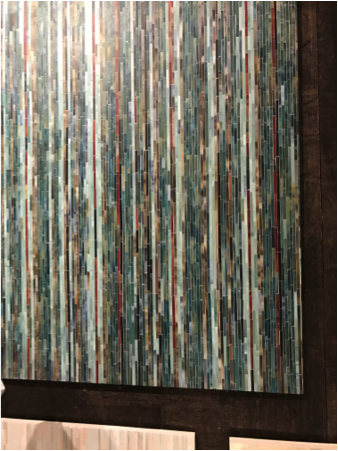 We’ve worked with her before to create a custom wall, and after this showing at Coverings, we can’t wait to see what else she has in store. Whether you’re looking for something exceedingly creative and unique, or a tile that’s more simplistic and cost-effective, you can find it at International Tile & Bath (http://www.ibtsdiego.com/). 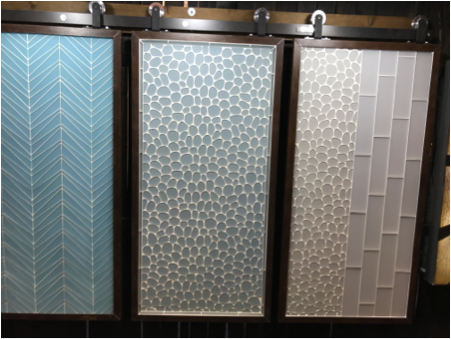 Our experienced and passionate staff can help you design the space of your dreams with the tile that’s perfect for you. Visit our San Diego showroom today to get started!